I lit a blockbuster vigil candle two days ago to try to help break through the blockages barring the way to my goal and lo and behold, the glass is black and sooty for a good four inches at the top. Trying not to feel discouraged but I know that is a bad sign. I have some more supplies coming and had a wonderfully helpful consultation on how to proceed. I know already that my situation will take a lot of dedication and persistence so I'm not giving up or letting it get me down. Still, I could use some words of encouragement. Anyone have a success story that began with ominous signs? Not even sure it's ok to ask here in the forums, I'd be happy with a PM if that's the case. Although it may be difficult, try not to draw a conclusion until you get to the end of your burn. If the light finishes up clear, then while the opposition may be great, it also shows the work getting through it given time. And many of us have had difficult burns that required dedicated work to make work. Take it slow and steady, one step at a time. I will said Yellow, Purple, Blue to clear out writer block. All three color connection to the mind and the spirit. So, I hope I helps. 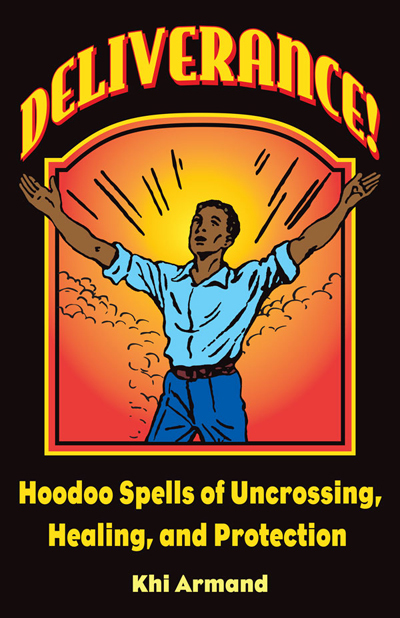 This isn't consistent with our Hoodoo teachings. I can see blue for healing. Orange for road opening. Red for Blockbuster. Also, you are more than welcome to post on the forum. But please don't respond to posts that are 4 years old. Hi i m new in this forum. 1) Could anyone tell me more about Block Buster Ritual cos one of the AIRR Member Rootworker is going to do that ritual for me? 2) Does this ritual remove all the blockage, resistance & obstacle one i got?? 3) How powerful is this blockbuster ritual?? I have been studying Metaphysics/Occult Sciences including Hoodooo for some time now and I am having trouble experiencing shamanic journeying, contacting spirits , astral projecting, meditation, etc. I have received readings from an AIRR rootworker, He told me that I am blocked ? I would like to know any recommendations as far as supplies such as spell kit, oils,powders,herbs, etc. I can use to remove the blockage ? What do you all think? Any input/experience is much appreciated, I guess I'm a bit confused. Messy? Hmmm....haven't had a "messy" experience with it yet. Blockbuster will bust the doors down. Imagine a steel door that is locked (your obstacle). On the other side of that door are many roads. The Blockbuster breaks down the proverbial steel door. Then, the road opener takes you on the right road and path. So, I would definitely have the blockbuster candle set if this were me. I hope this helps and I wasn't' confusing! Hello, lol by messy I meant it won't make a clear new road. I just wondered if this non delicate roadway would cause different struggles, and if road opener would be beneficial. Thank you so much for your explanation of both products, that def. Helps me understand it better! I am waiting on the blockbuster items to perform the spell on the page, but ill ask for a back up vigil to be lit as well. As always, thank you so much for your guidance!! Blockbuster does not take away one obstacle only to create other ones. It removes whatever is blocking your path. Road Opener will smooth out the way ahead of you and, as Miss Aida said, will set you on the right path. These products are wonderful and in my experience, they have been extremely helpful in clearing my way forward. Thank you, Athena . I was just confused by the product description and various different descriptions on the forums. I actually decided to have MISC set a blockbuster light now, like miss aida suggested, instead of waiting. I also think il have to look into getting road opener items, just to keep on hand lol. I have been blocked for some time - about three years now. I have been unable to see/hear/feel, with the exception of two specific individuals. I see only blackness when I should be seeing so much more. I visited a shaman and he said the block is self constructed. Others have said the same. I do tend to believe that to be the case. The block is not an option. I need to break through it and am at a loss for how to do that and do not know where it originated. I'm looking for the best way to break through, and also possibly a reputable local practitioner (MD/DC area). You have answered one of your own questions. You say that a "shaman" and "others" have said the block you are experiencing is "self-constructed" and that you too "tend to believe that to be the case." So then, when you say you "do not know where it originated," you already have your answer: saying that it is "self-constructed" means that it originated within and by yourself. You have jinxed, crossed, or blocked yourself. This is not unique to you -- it does happen, and it can be remediated and undone. To break through is one technique. Another technique is to slowly wash or cleanse it away. I recommend that you start with this book and the magical methods it recommends. For $9.00, it is going to give you more information at a lower cost than many readings. That helps, thank you. When I say that while I believe it is self constructed, I don't know where it originates .... At what stage? What caused the block? What did I react to so badly that I threw up a block like this? I also wondered if I would be able to unfo it if I couldn't trace it back. I will order the book. Thank you for your response...a lot to think about there. Order the book I have it and currently reading it, lots of great stuff in it. From your post I can tell you lack self esteem and second guess yourself. Right their is the first area to target trust in you and Gods authoerity and power. The mind is very powerful and if allowed you can cross yourself up. Then it takes time to unwind the nonsense and free you from it. Start with cleansing baths, use clarity products to see clearer and healing, crusible of courage , a honey jar on yourself for self love. Read pslams 23 everyday and tell yourself you deserve happiness wealth, love, friendship. In addition to J82's great advice, I must add that your questions are impossible to answer on the forum. Otherwise, you may consider getting a reading. Thank you for your advice. I don't see it so much as a low self esteem. I tend to be a confident person. That being said, if my block is self-constructed, it is not an option and needs to be removed. I suppose I view it as kind of a .... "ok. Something happened and you didn't like the something so you threw up a wall to avoid truly dealing with it." To me, that is not acceptable. I face things. But I also have no interest in dwelling. My goal here is to eliminate the blockage and move forward. There is so much I could/should be doing. My interest in knowing where the block originated (to what did I react by erecting such a block) and face it, because it must be something I avoided dealing with before. I don't want to break through a block only to re-erect it. I am now in a position to order the book that was suggested and am excited about moving forward. It wasn't always this way but I'm glad it is now. So I left my kids dad a year ago for using drugs I need to get back on my feet an want better I went to see someone an he said it's because he hired someone to make sure my life is not right as in money an not being happy so I will get back with him. What do I buy to get back on my feet. Since I left him I have not got any hours at work there is constant miss communication with my bank or set up payments with my utility an etc any help. Please read through the pages for spell ideas. After reading the 4 pages, if you have any questions, please don't hesitate to ask. I just want to add one more thing: use protection on yourself. I don't like his threats. Miss aida, I have a question when I buy a block buster an road opener can I light then together or do they have to be in separate rooms. As well with the dimes I can do that but as for my house. Can I buy a reversal candle or will that cause more stress on me I heard that reversal candles were also negative an bring negative to the home. You would perform the blockbuster first. When it's over, then the road opener. Take the reversal to the crossroads. I sure would be blessed if someone would volunteer to do blockbuster spell for me. Right now I don't have any income and will be homeless in a few days. I don't know if I'm cursed but everything has been falling apart in my life. It seems as all roads are blocked for me. I really need to get back on my feet quickly, I don't like to be a burden to anyone but I don't know what to do. Please pray for me too. Lucky Mojo does have a service for people who do not have an income. Get in the way of us getting back together. I want to do a cut and clear spell for my ex followed a kng solomon for his clarity and road opener for both of us. I need some help. Now I only do simple spells as I notice those work well for me. So this is wat I want to do: write is name on a white candle or black dressed wit cut and clear oil. Then on paper I write his name and coss it wit des dressed wit cut and clear oil ired bible verse and let the candle burn to the end. Is this spell ok or do u recommend something else? Also how do u baptise a doll? What stepts should I take in such ceremony? My ex keep allowing negative thoughts to interface with us getting back together. This madess had been going on with us for over 9 yrs. I believe be has relationship phobia. I want to do a cut and clear spell for him to remove emotional and mental blockages followed by king solomon for clear thinking. And finally a road opener spell for a new road to open to our relationship. 1st I only do simple spells as I realise those work best for me. This is wat I plan to do: write is name on either a black or white candle dressed wit cut and clear oil. Write my wish on paper and cross it wit desired bible verse, light it once and let it burn to the end. Is this OK or should I do it another way? 2ndly can I do 1 cut and clear candle work for the 2 of us seeing that it's our relationship that is being affected or do I need to do individual work for us? Finally who do u baptise a doll? Is there a ritual? Please advise wat the steps are. Then, use the road opener. I did see the blockbuster spell. But can I do 1 blockbuster spell for the 2 of us or do I need to do individual blockbuster spell for each of us? If you feel there are obstacles in both of your paths, then I would do a separate Blockbuster for each of you. For the blockbuster spell if I don't have a 9 inch jumbo candle can I use a smaller candle and light it in sections of 15 minutes for 5 r 7 nights? Or can I light the smaller candle and let it burn in just 1 day to the end? Final question. Seeing that I'm doing the spell for my ex do I do the exact blockbuster spell online or can I just write his name on the candle and on a paper I write my wish and cross it with the same bible verse in Isaiah & psalms stated on the spell page. You can do either candle approach, whatever is in your heart. Just remember that the smaller the candle, the less time it will be lit. You write your command on the candle (like "break obstacles") and write the name on the petition along with any bible verse you are using. Does LM sell Abre Camino plant/herb and/or the root? I have seen other sites selling them, but I'm not sure if it's real or not. I don't see the item listed in the list of herbs. From what I gather it is not a herb is not difficult to find. I know LM sells the Road Opener products, but I wanted the herb to add to a mojo bag. Any advice would be appreciated. Reason: Post not to clear. Will rewrite post. Does LM sell Abre Camino (Road Opener) Eupatorium villosum herb and/or the root? The item is not listed in Cat's Hoodoo Herb and Root Magic so I wonder whether the plant is part of the hoodoo tradition. . I wanted the herb to add to a mojo bag. Any advice would be appreciated. I am sorry but they do not sell this. I will be doing a road opening spell for my ex and I. Pretty much I want a new beginning and a new kind of relationship for us, therefore I want to do just 1 spell for the 2 of us. In this thread I didn't see a road opener couples spell and I don't think the 1 on the lucky mojo websites will work either as I think that's more required for an individual rather than a couple. Can Some1 give me a simple road opener spell with instinstructions? Anoint with Road opener oil, and roll in road opener incense. Ok so the ends should meet but can I lift my pen while writing on the candle? No, don't lift the pen or whatever instrument you use to inscribe your candle. i having a huge problem and im getting so frustrated with myself. the above road opener spel than was given to me has been difficult to do as each time i try to write on the candle without lifting the pencil, the pencil accidentally slip. while i can do this on paper i hav found it inpossible to do on candle as i can waste paper and start over but i hav no more candle to waste. guys i really try to focus and i messed up 3 candle alreafy. i was also instructed to write the same way on the candle wen doing my come to me spell. Are there any other simpler way i can do this spell? again the 1 on the LM website will not work as i am doing 1 spell for a road to open for my ex and i.
I know it can be difficult at first and it does take practice. But If you have TRULY done your very best, that's what counts. I need some psalm recommendations. I'm hoping to work abroad (Australia), and I want to find some psalms that can help me in my pursuits. I'm trying to find a job in Australia, yet I know I need to breakthrough blockages, so the chances arise. Any road opener/job psalms I can use to smash open the doors? Hello everyone, please I need help knowing what to do with the wax of orange candle I dressed with road opener. What do I do with the wax after it's burnt. Thank you all and remain blessed. This link tells you EXACTLY what to do! I started burning a reconciliation candle and road opener candle in hopes of removing any obstacles in the way of reconciling with an ex but was just told that that may open new roads for him to move away from me. I already burned about 1/4 of it. What should I do, stop burning it and use van van instead or do I need to do some spell reversal? Any advice greatly appreciated! I don't think it would open his roads to others if the petition was to open the roads between you too. Also that used with rec oil reaffirms my thought . Please don't freak out, take a deep breath and trust the work you do. Pray daily focusing on the positive outcome of the work. Watch the candle for signs . A reading would also help guide you with work. Airr readers can greatly guide you! Road opener products will break old blockages and open the way for new opportunities for you. Continue the work and trust spirit to complete it. I would go with blockbuster first to break down the obstacles that are in the way. I'm not entirely sure if this is the right board for this, so please move me if need be. But I'm looking for something to help me let go of regret and move forward. I'm haunted by so many opportunities I never took that it's stealing my peace now, when I'm surrounded by great opportunities. I need to move beyond the silly mistakes of my younger years, and I'd like to work some magic to help. You can start with a Cut and Clear Spell for this grief. So i had a road opener candle lit bc career/money areas have not been good for me right now. The burn was pretty successful and I was advised that more work can be done bc i am mainly putting myself in my own way and that I need to consider decisions carefully. I am not sure what else i could follow this with. should i have another road opener lit or is there another line of products i can use to help? You are a PERFECT candidate for blockbuster.